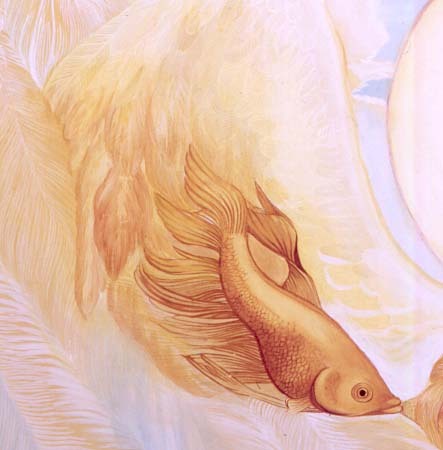 My unconscious wanted the wings and fish in this painting. I think it is probably saying we will be most blessed when we flow and go with the current of life. As an artist I love the way they both look so similar and gracefully carry the body through space.